When you experience a bout of gastritis your stomach lining becomes infected and inflamed. 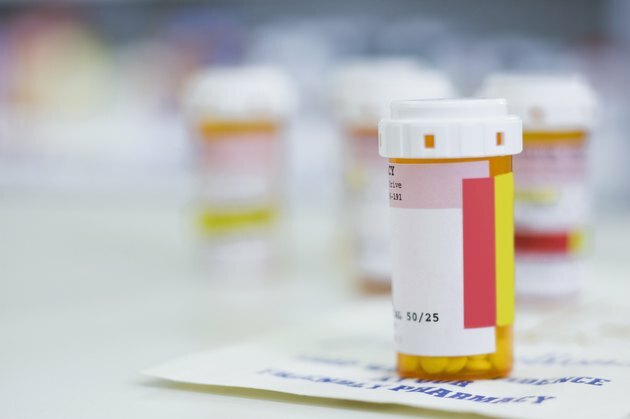 The most common cause of the condition is the H. pylori bacteria, the same bug that causes ulcers, according to the University of Maryland Medical Center. Gastritis can develop slowly or come on suddenly, but it does not permanently damage your stomach lining. Alternative practitioners recommend fasting to treat gastritis, according to Dr. H.K. Bhakru, author of The Complete Handbook of Nature Cure, but traditional medical doctors treat the disease with changes in your diet and antibiotics. While there is no specific gastritis diet, ther are nutritional recommendations that may improve your condition. Before trying any alternatives, such as fasting or diet, you should consult your doctor to make sure the treatment won’t cause further complications or interfere with other ongoing treatments. Stomach discomfort and pain are the most common symptoms of gastritis. You may also experience a loss of appetite, heartburn, nausea and vomiting. While indigestion is a common condition, see a doctor if stomach discomfort persists for a week or more. Blood in your vomit or stool may indicate a serious gastritis attack or another serious medical condition, according to Cleveland Clinic. Vomit that looks like coffee grounds also could indicate gastritis. While eating often worsens your symptoms, at other times, food soothes your upper abdominal pain. A gastritis fasting diet may relieve your symptoms if you continue to experience pain when you eat. With your doctor’s approval, intermittent fasting every other day can reduce your discomfort and provide additional benefits. According to the Proceedings of the National Academy of Sciences, dietary restriction in the form of reduced calorie consumption increases your resistance to a number of diseases, including cancer, obesity, stress and infections. Your immune system benefits from periodic fasting while insulin and glucose levels also improve. Additionally, your energy levels may improve because psychologically you believe that fasting is good for you. 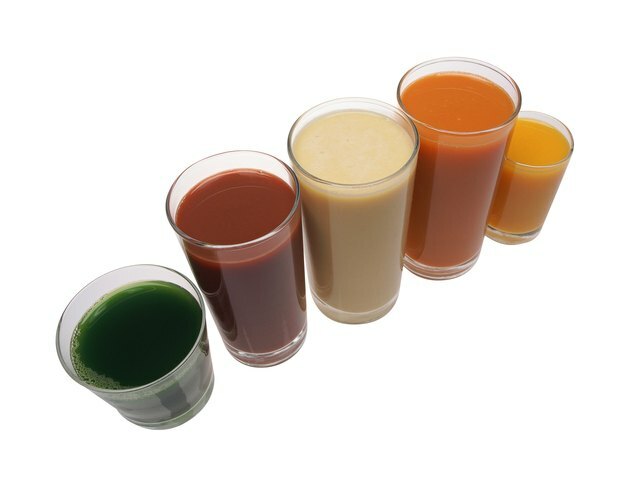 Fasting diets usually last between seven and 10 days, followed by a slow reintroduction of food to your system in the form of juice and fresh vegetables. Fasting can cause you to feel dizzy and fatigued and lead to dehydration. Fasting also may increase your stress, which has a direct impact on stomach acid production, according to the University of Maryland Medical Center. 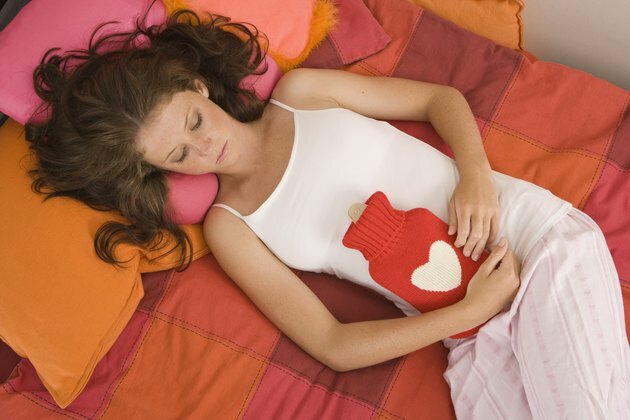 Overeating between periods of fasting can lead to additional stomach discomfort. The most effective dietary treatments for gastritis are those that eliminate the source of your pain as you treat the infection with antibiotics and other medications. Alcohol, tobacco and acidic beverages such as coffee, citrus juice and carbonated drinks are the most common offenders that exacerbate symptoms when you have gastritis. High-fat foods such as butter, fried foods and meat increase inflammation and should be avoided as your gastritis heals. A diet high in antioxidants, such as those you can get from cranberries, garlic and tea, reduces the effects of the disease-causing bacteria. 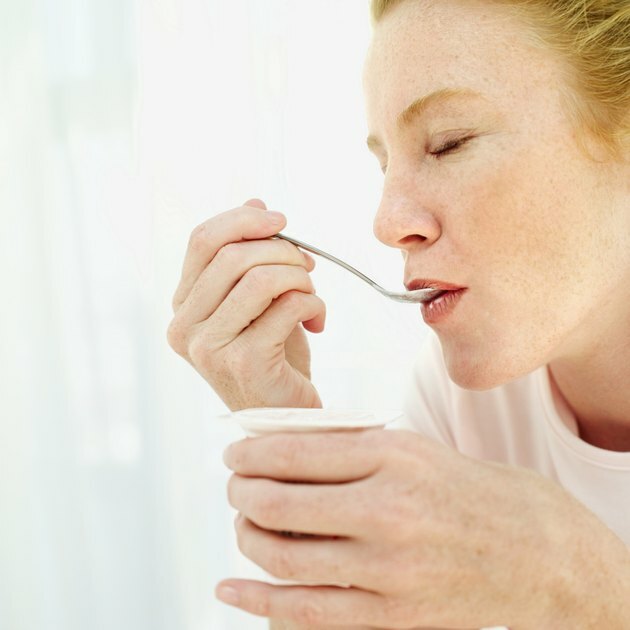 Two foods found to inhibit H. pylori growth and combat gastritis symptoms are yogurt and broccoli sprouts, according to Johns Hopkins Medicine. The active bacteria cultures in yogurt combat destructive bacteria in your abdomen while chemicals in broccoli sprouts have an antibacterial effect.